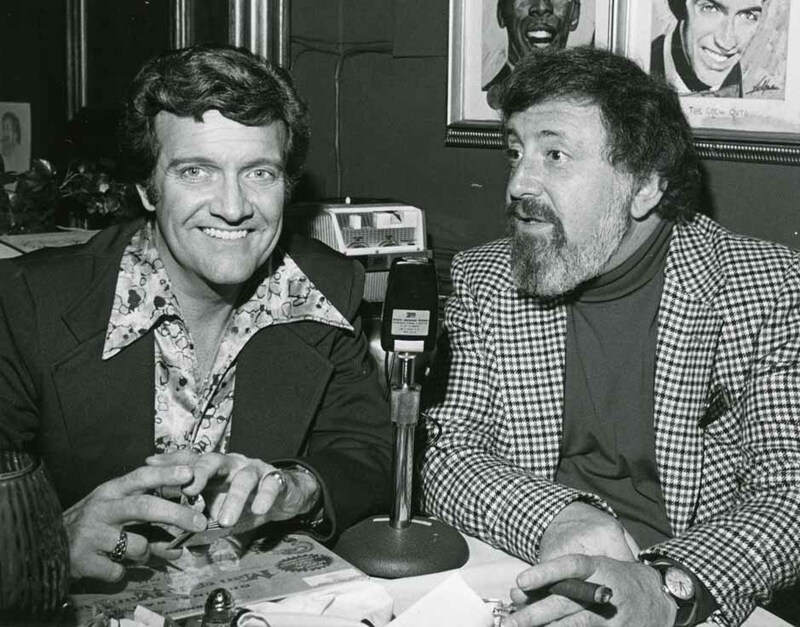 1977 Radio commentator, Gregg Hunter broadcast his radio show from the Hollywood Broiwn Derby Restaurant, where he interviewed many Hollywood celebrities. 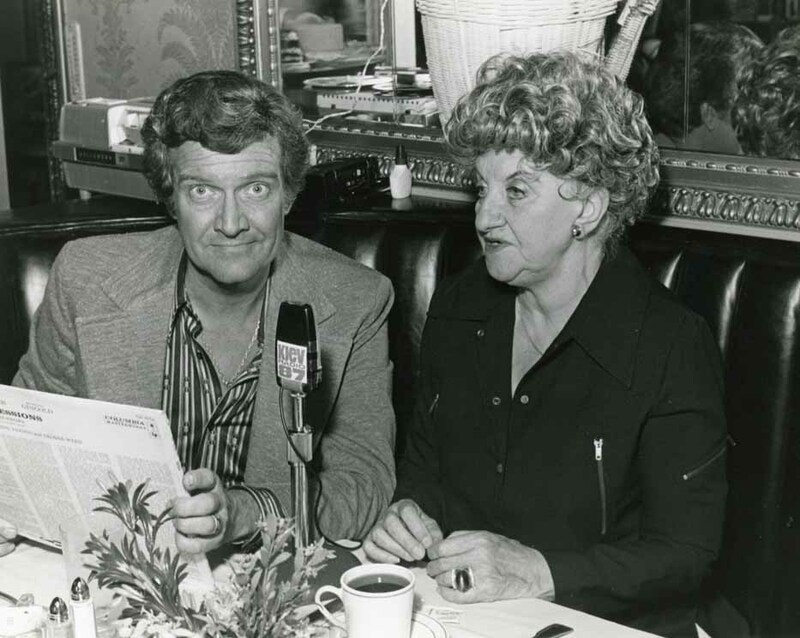 Here hs is with Hermion Gingold during one of his shows. 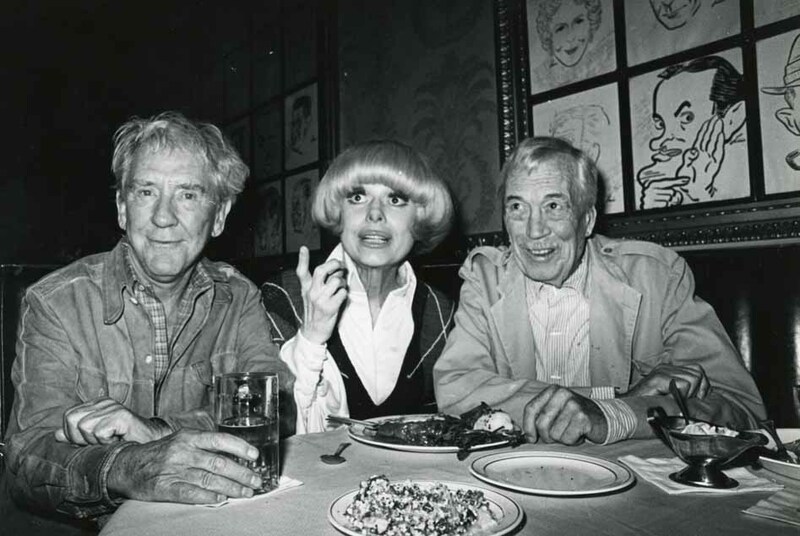 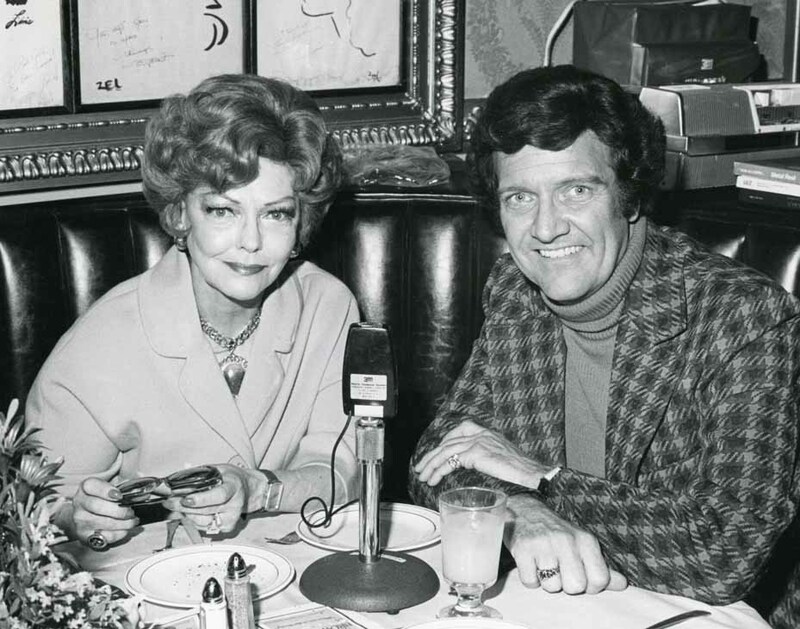 1978 Actress, Vivian Blaine is interviewed by radio commentator, Gregg Hunter at the Hollywood Brown Derby restaurant on Vine St.
1977 Composer Mitch Leigh (with cigar) is being interviewed by radio commentator, Glenn Hunter, at the Hollywood Brown derby Restaurant, on Vine St.